Below you fill find all funeral homes and cemeteries in or near Reisterstown. Reisterstown is also known as: Baltimore County / Reisterstown CDP and Reisterstown, Baltimore. Zip codes in the city: 21071, 21136. Some of the notable people born here have been: (william john gies), (augustus walley), and (ovington weller). 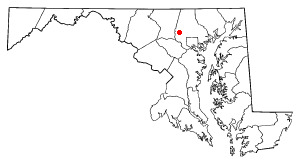 Reisterstown is an unincorporated community and census-designated place in Baltimore County, Maryland, United States. As of the 2010 census, it had a population of 25,968.Founded by German immigrant John Reister in 1758, it is located to the northwest of Baltimore. Though it is older than the areas surrounding it, it now serves primarily as a residential suburb of Baltimore. The center is designated the Reisterstown Historic District and listed on the National Register of Historic Places in 1979. Also listed are the Montrose Mansion and Chapel and St. Michael's Church.Just outside the community, to its north, is the small military reservation of Camp Fretterd, which serves as a training site for the Maryland Army National Guard and Air Guard. The Maryland Defense Force is also headquartered at Camp Fretterd. It was disclosed on September 7th, 2016 that Doris T Beckler (Telchin) perished in Reisterstown, Maryland. Send flowers to express your sorrow and honor Doris T's life. It was disclosed by Hagerstown Morning on June 5th, 2012 that Beverly Ann Fries (Billmyer) perished in Reisterstown, Maryland. Ms. Fries was 69 years old. Send flowers to express your sorrow and honor Beverly Ann's life. It was reported by Republican Newspaper on April 28th, 2011 that Billie Fontaine Pollard perished in Reisterstown, Maryland. Pollard was 72 years old. Send flowers to express your sympathy and honor Billie Fontaine's life. It was noted by Republican Newspaper on April 14th, 2011 that Billie Fontaine Pollard perished in Reisterstown, Maryland. Pollard was 72 years old. Send flowers to express your sympathy and honor Billie Fontaine's life. It was revealed by The Capital on January 16th, 2010 that William S Frank passed away in Reisterstown, Maryland. Frank was 62 years old. Send flowers to express your sorrow and honor William S's life. But as the town and its population grew, the church could no longer hold all of the town’s children. In the 1870s the school became one of the first to join the Baltimore County school system. Reister found a solution to this and made a new school on his property in 1793. By the early 1900s the school became a public library (previously the Franklin Academy), where it still stands today next to the Lutheran cemetery and across the street from the present day Franklin Middle School. Though it is older than the areas surrounding it, it now serves primarily as a residential suburb of Baltimore. two brothers, Frank Stapleton, Reisterstown, Md. and Vince Stapleton ... all of Kyle and several nieces and nephews. Funeral services were conducted Saturday, October 23 at the Helsley-Johnson Funeral Home, Berkeley Springs, with Pastor Rodney C.
Listing all funeral homes in Reisterstown, Maryland so you can easily send flowers to any location (same day delivery) or find any funeral service. Find embalmers & Embalmers in Reisterstown, MD. Read business reviews, find driving directions, and more. embalmers on YP.COM. We work with local florists and flower shops to offer same day delivery. You will find budget sympathy flowers in Reisterstown here. Our funeral flowers are cheap in price but not in value.